← Review: THE DUKE’S FALLEN ANGEL by Amy Jarecki. This series promises to be sizzling! For Aristide Delacroix, the first throw summons shades from his past. A man he had met, just once, over a card-table… and the lovely girl indirectly responsible for plunging his life into catastrophe. And for Genevieve Westin, hoping widowhood will be happier than marriage, it brings a rude awakening – leaving a single, wild gamble as her only option. A cardsharp turned businessman, a duke’s charming brother, a stubborn, razor-edged beauty, and a desperate widow. Four players in a game of Hazard… all playing for very high stakes. The publisher’s summary of this story just didn’t do the story justice. I see the symbolism, but it doesn’t hit the mark for me. Now the story is another matter…! Author Stella Riley’s writing is as elegant and rich as the time period she writes in. Her characters flow off the page, with a wide-range of personalities the narrator does an absolutely superb job showing the reader. The setting, and plotline produces a delightful cast of characters with multi-layered challenges. This series has been a wonderful one to following and I look forward to book six which comes out quite soon. The Duke of Rockcliffe has a presence in each of her stories, some more than others. In this story, the brother of the Duke takes a front seat, Lord Nicholas Wynstanton, as well as a very good friend of his, Aristide Delacroix. Both gentlemen have the same problem, with a twist with a woman they are attracted to. As with most families, personalities between siblings can be vast. Nothing is more true than the personality of the Duke of Rockcliffe and his brother Lord Nicholas. The Duke is quite cold-blooded with a warm heart, and with ennui dripping from every sentence. While Nicholas is so completely opposite. One thing is certain. The two brothers love each other with a fierceness you will discover as the story progresses. Lord Nicholas knows what he wants – he wants Madeleine Delacroix, Aristide’s sister, but she is definitely not an easy catch! She has a problem with the huge gulf of society between them and knows he could so much better than her. Nicholas is entirely lovable. I absolutely love his joie de vivre, his bubbly personality keeping family and friends laughing. All but Madeleine… Narrator Wyndham does a marvelous job portraying his gaiety and seemingly not a serious thought in his head, not until later, that is, and that’s the beauty of how Riley fleshes-out her characters which Wyndham is right in step. As Lord Nicholas becomes more frustrated with the woman he is attracted to, we really get to know the man, the man who eventually Madeleine cannot help falling in love in love with. Her prickly, acerbic tongue covers her true feelings, helping to keep as far distance as she can from Aristide. Aristide, Madeleine’s brother is attracted to Genevieve, a woman he should avoid, and frankly doesn’t want to remember. She was the catalyst to the pivotal moment in his life, where virtually he hit rock bottom. When they re-meet, she doesn’t remember him at all – another nail to keep Pandora’s box closed. He struggles… She seems so innocent and doesn’t appear to be lying. And yet…? It takes two to tango. Genevieve Westin hasn’t had an easy life. So when the two part earlier in their lives, her desperate decision to marry to save herself from her brother Rafe, comes to haunt her. Now, after the death of her first husband, she finds herself with little choice. If she is to marry the one of her choice, she must do it quickly. Rafe will make the decision for her, if not. But love challenges aren’t all that this story is about. It’s about how men and women brought low struggle to gain a place in society. It’s about how men of ill ilk stopping at nothing to get what they want. Madeleine is caught up in a scenario where she not only defends herself, she defends Nicolas. Love that scene — an eye-opener for stubborn Madeleine! 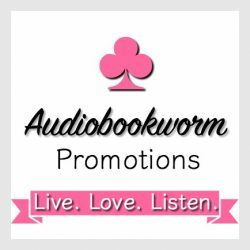 This entry was posted in Audiobook, Audiobook Review, Historical Romance, Literary Fiction, Romance, Women's Fiction and tagged Alex Wyndham, Audiobook Review, Hazard, Historical Fiction, Rockliffe Series, Stella Riley. Bookmark the permalink. Super review, Eileen! I love this series as much as you do and cannot wait to read Cadenza. I´m still only able to spend a moderate amount of time with my books and reviews. I actually listened to this one twice and loved it both times! Thanks for dropping by, Carol.